Ben Tennyson is an average 10 year-old who discovers a strange alien watch in a crashed meteorite. He soon discovers that, by using the watch, he can transform into endless alien superheroes, each with their own unique powers, while keeping his 10 year-old personality. This super Omnitrix Shuffle comes from the well known toy company Bandai and will certainly be a big hit with Ben 10 fans at Christmas. It looks just like a watch but when strapped to the wrist it transforms into an alien voice maker and when shaken or button pressed one of ten alien voices will be heard. An alien mini figure is also included and when this is placed on the Omnitrix shuffle it glows up and unlocks the phrases from that alien. There are 9 other mini figures to collect and buy seperatly. Boys will have hours of fun with this toy. Ryan is 9 and a Ben 10 fan and loves this toy. Constantly changing the sounds etc. it’s great for role play and if girls like Ben 10 as some do then it’s great for girls too. 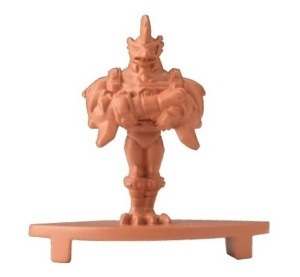 Ryan also had the Kickin Hawk figure which is also part of the Omniverse collection. The figure stands at 10cm tall and is fully posable with realistic claws, beak and features. I don’t know too much about the world of Ben 10 but he looks quite a tough guy. 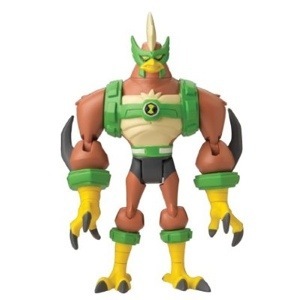 The Kickin hawk figure is part of the Omniverse collection and there are several other figures to collect. 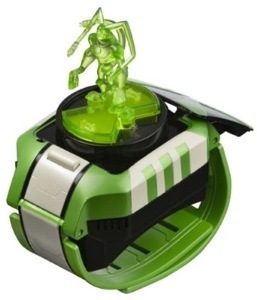 It comes with a small mini alien figure which can be used with the Omnitrix as above to unlock more sounds and lights. 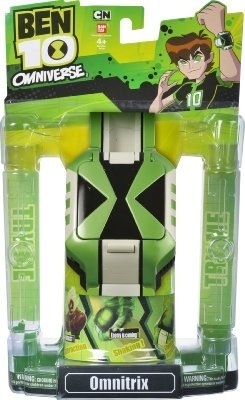 The Ben 10 Omnitrix shuffle has an RRP of £19.99 with the collectable figures available at varying prices. The recommended age is from 4 plus and I think they would be enjoyed by boys of any age (even the grown up ones) these toys encourage role play and also leave ideas open for birthdays in the way of the extra collectable figures.